The GenWeb Project consists of a group of volunteers working together to provide free genealogy web sites for genalogical research in each and every County and every State in the United States. This Project is non-commercial and fully committed to providing genealogy web access at no charge to the user. The project is independent of any genealogical society or other organization. The county sites are as varied as the volunteers responsible for them. I am the County Coordinator for Jefferson County, INGenWeb. I want to thank those who have sent information to share. If you have things you would like to see concerning Jefferson County or information to add please e mail Kfurballkell@aol.com "me". History in Your Own Backyard videos of Jefferson County. 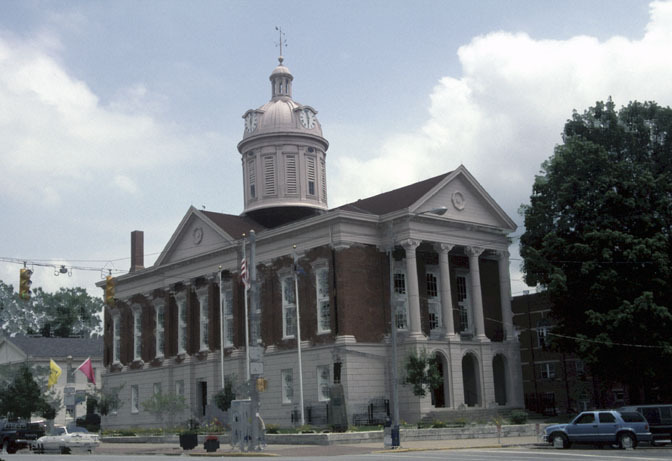 Jefferson County was authorized by an act of the Legislature November 23, 1810, and officially became a county February 1, 1811. It was named for Thomas Jefferson, principal draftsman of the Northwest Ordinance and President of the United States from 1801 through 1809. Jefferson County was one of Indiana's first counties and an important entry point for many early settlers. 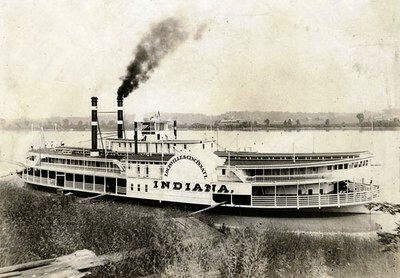 Throughout the early history of the state, Madison was one of the leading cities competing with Vincennes and later New Albany to be the largest city in the state. "We are the chosen. In each family there is one who seems called to find the ancestors. To put flesh on their bones and make them live again. To tell the family story and to feel that somehow they know and approve. Doing genealogy is not a cold gathering of facts but, instead, breathing life into all who have gone before. We are the story tellers of the tribe. All tribes have one. We have been called, as it were, by our genes. "Those who have gone before cry out to us: Tell our story. So, we do. In finding them, we somehow find ourselves. How many graves have I stood before now and cried? I have lost count. How many times have I told the ancestors, "You have a wonderful family; you would be proud of us.". How many times have I walked up to a grave and felt somehow there was love there for me? I cannot say. It goes beyond just documenting facts. It goes to who I am, and why I do the things I do. It goes to seeing a cemetery about to be lost forever to weeds and indifference and saying - I can't let this happen. The bones here are bones of my bone and flesh of my flesh. It goes to doing something about it. It goes to pride in what our ancestors were able to accomplish. How they contributed to what we are today. It goes to respecting their hardships and losses, their never giving in or giving up, their resoluteness to go on and build a life for their family. It goes to deep pride that the fathers fought and some died to make and keep us a nation. It goes to a deep and immense understanding that they were doing it for us. "It is of equal pride and love that our mothers struggled to give us birth, without them we could not exist, and so we love each one, as far back as we can reach. That we might be born who we are. That we might remember them. So we do. With love and caring and scribing each fact of their existence, because we are they and they are the sum of who we are. So, as a scribe called, I tell the story of my family. It is up to that one called in the next generation to answer the call and take my place in the long line of family storytellers. That is why I do my family genealogy, and that is what calls those young and old to step up and restore the memory or greet those who we had never known before."